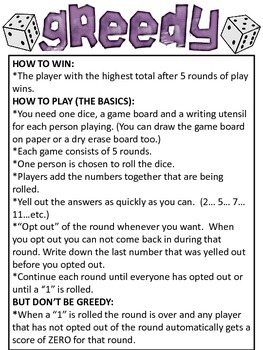 This download includes the rules for Greedy and a gam board. Greedy is a game that focuses on mental math for addition. 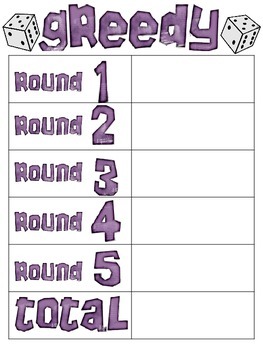 This is one of my students' favorite games to play. We play it whole group, at math stations and in pairs.